A six time All Star catcher, Munson tragically died when his Cessna Citation jet crashed. The Yankees maintain an empty locker in his honor and have retired his number 15. 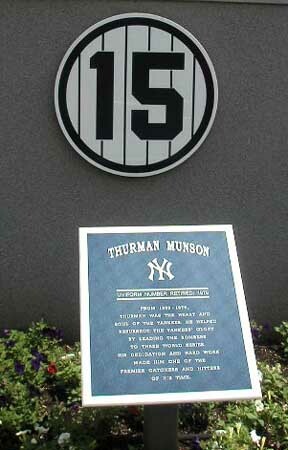 A plaque also honors him in Yankee Stadium's Memorial Park.